One of the best things about Froggy Bottoms is their capacity to surprise. 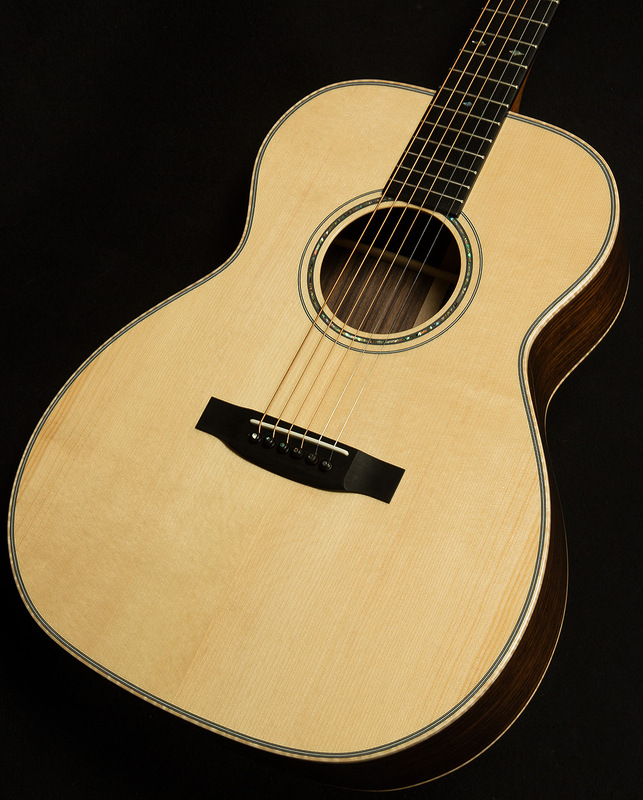 Here at Wildwood, we've had the privilege of showcasing many of their incomparable acoustics, and each serial speaks with a distinct voice that reflects the character and personality of the tree it came from as well as the sensibility of the builder. 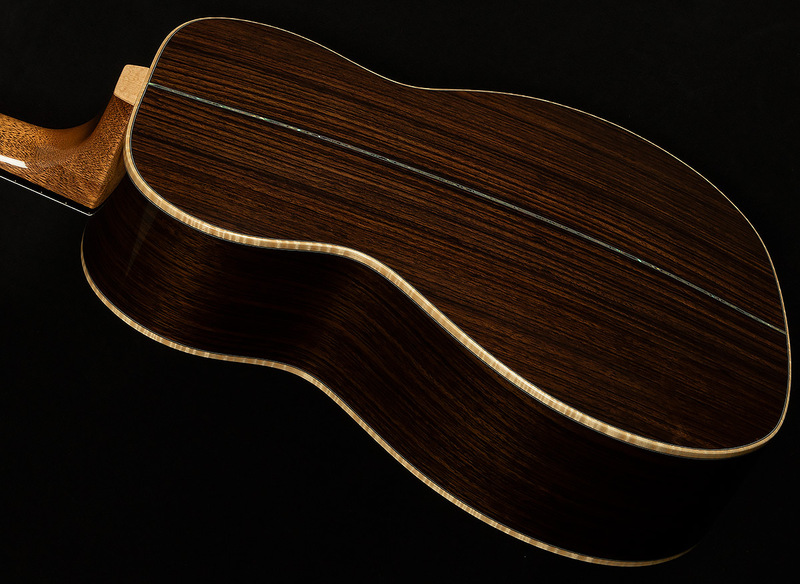 This particular H-14 knocked my socks off with its spectacular balance and clarity as well as its full-figured EQ curve. 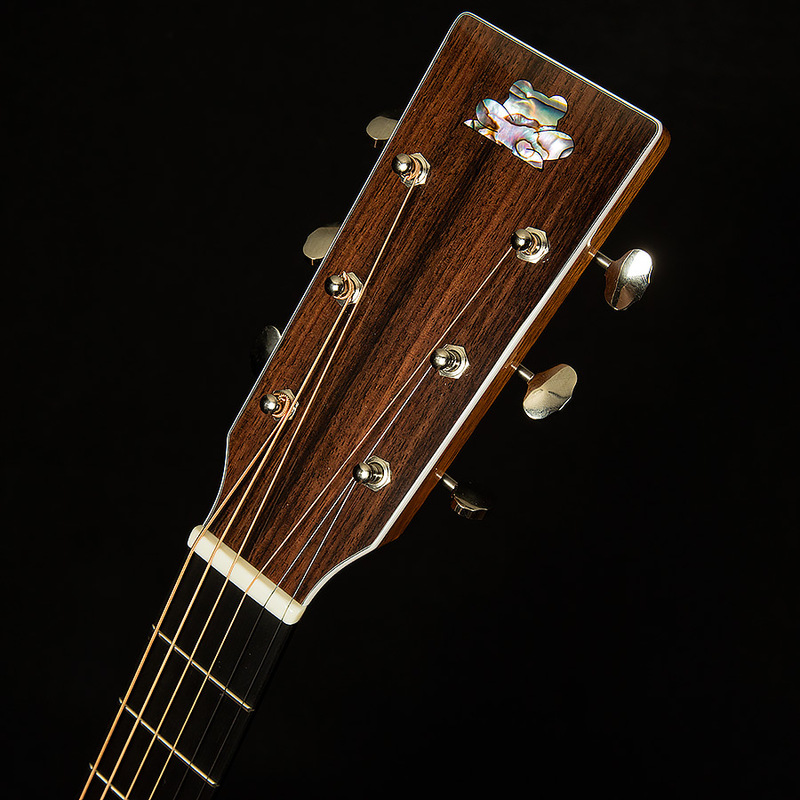 How they managed to cram a dreadnought's worth of power into a smaller body is beyond me--I suspect sorcery was involved--but this guitar projects like none other thanks to its massive level of headroom. 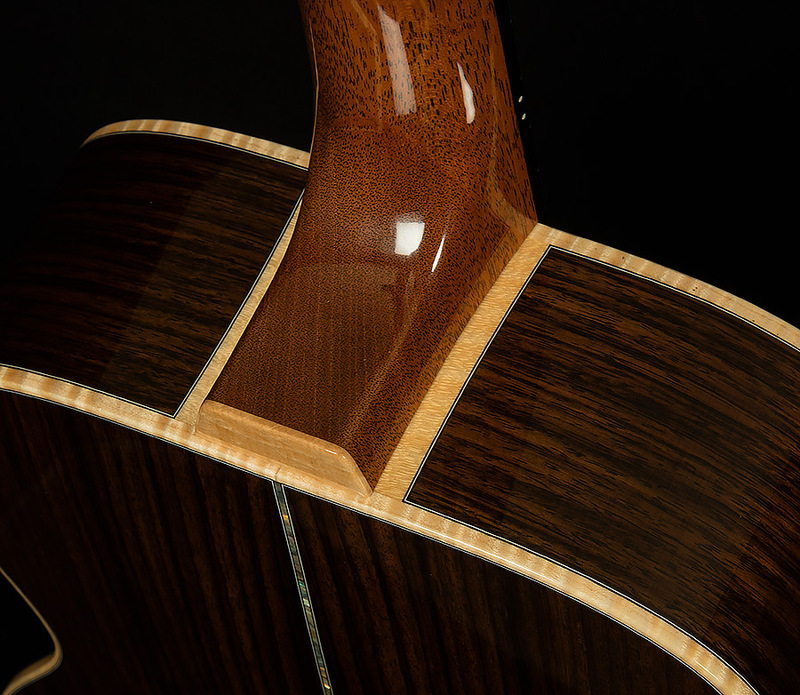 Let's break down the frequency response and see what makes this acoustic so inspiring! The bass response is warm, woody, and powerful, with a bit more richness than normal. Imagine what a '50s D-18's brasher little brother would sound like, and you'll get a rough idea of the round, focused, powerful thump you get in the low-end when you hit that low E.
Conjure up the brightest, sunniest sixty-five degree spring afternoon you've ever experienced and you'll have an accurate impression of how crisp, pure, and golden the trebles sound. You can create a cloud of beautiful blooming overtones by digging in with your right hand, but no matter how hard you hit, this serial stays open and clear. Easing off yields a glorious transparent sound. The midrange has robust, broad response that emphasizes the fundamental, and it becomes more and more authoritative and punchy as you increase your right-hand velocity. This phenomenal Froggy has inspiring response across the whole frequency spectrum, but the magic lies in the way everything balances together. The lows and highs are a little stronger than the midrange, but not by much, and you can get plenty of swell and bloom in the mids if you hit harder. 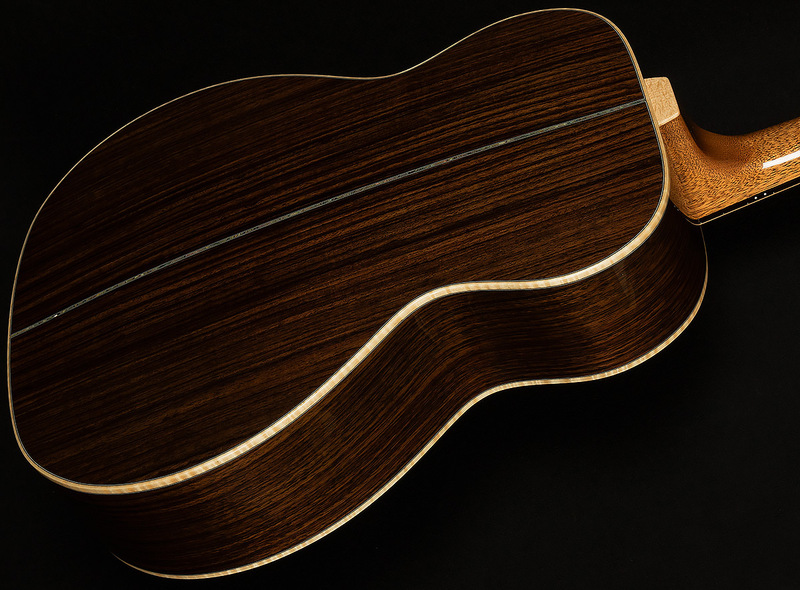 With such touch-sensitive highs and midrange, it's easy to coax a vast variety of timbres out of this guitar with either a flatpick or fingers. I spent about half an hour trying to find this guitar's weakness; after all, like men, all guitars have an Achilles heel, don't they? Not the case with this Froggy Bottom H-14. Because it has such a balanced, clear voice, it handles every genre with aplomb: folk rock and country strumming, fingerstyle blues, acoustic jazz, breakneck bluegrass, avant-garde Fahey freakouts, etc and etc into perpetuity. If you can name it, this Froggy Bottom can do it. 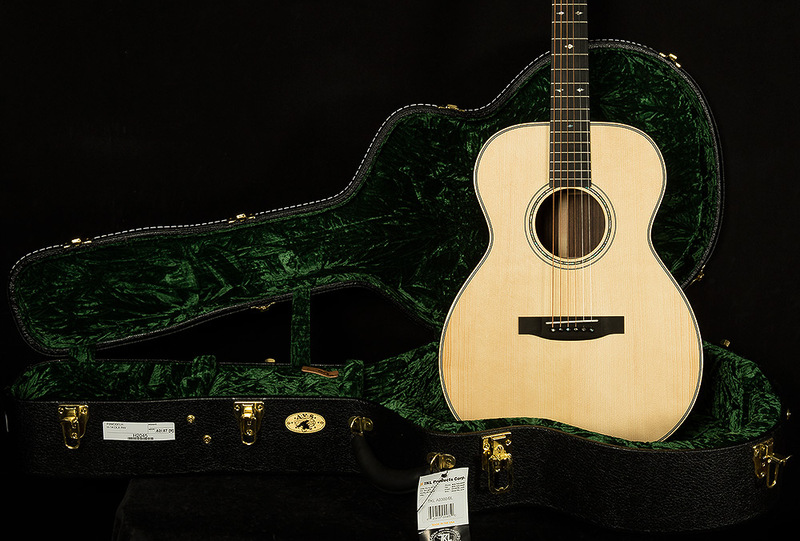 We are proud to showcase an instrument of such incredible versatility, and we know it will prove itself an erstwhile companion on any acoustic adventure you embark upon.